We could give you a long list of reasons to visit Scotland. We could give you serious ones, funny ones, quirky ones, and just downright strange ones. In fact, that sounds like such a good idea we probably will; Scotland is a country of contrasts after all. However, we all know that one of the main reasons to come to Scotland is the absolutely stunning scenery. From mountain to glen, river to sea, our country has wonderful, often bleak, but also majestic scenery. 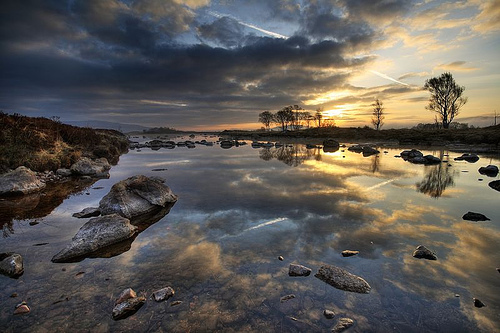 As one wise, but sadly unknown, author once wrote, ‘the human spirit needs places where nature has not been rearranged by the hand of man,’ and there are innumerable places in Scotland that will dazzle you into quiet contemplation with their beauty. 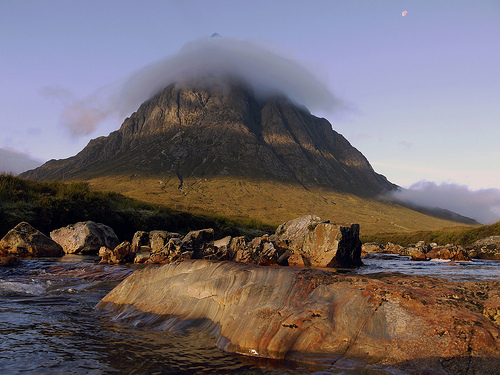 Buachaille Etive Mor is one of the best known and loved of all the Munro peaks. The epic view of the mountain from the main A82 road makes it appear quite unassailable and it is one of the most photographed sights in Scotland. 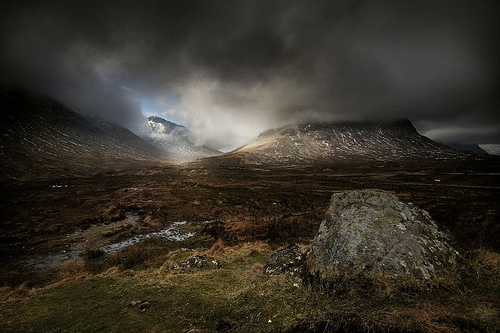 This moody Munro had a guest appearance in the Bond film Skyfall, and you can easily see why filmmakers used it to create a dangerous, dark atmosphere. If you’ve ever picked up a shortbread tin or a postcard from Scotland we’ll be willing to bet Eilean Donan Castle was on the front of it. 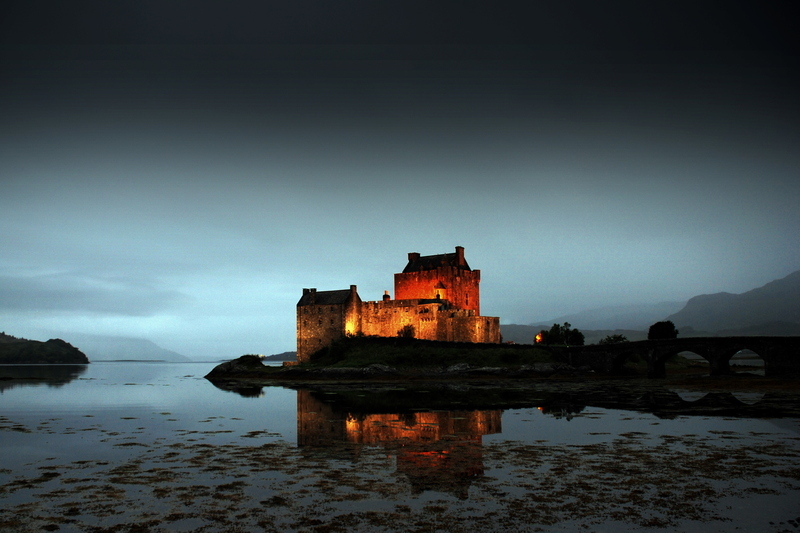 This majestic castle, which sits on its own strategically placed island at the meeting of three great sea lochs, is nothing short of spectacular. 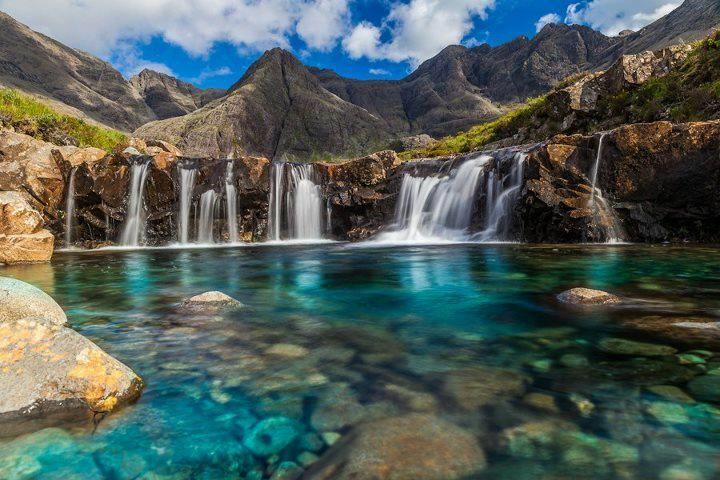 The Fairy Pools at Glenbrittle in the Isle of Skye might actually make you feel as though you’ve crossed the boundary into a world older than memory. Who knows, the beauty of the place is such that you might be put under an enchantment by one of the Fair Folk without every realising. 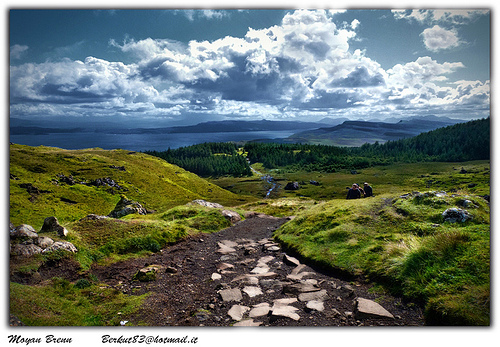 The entirety of the Isle of Skye is worth spending a long time hiking around. If you ever want to capture the harsh beauty of the islands with a lens then this is your place. 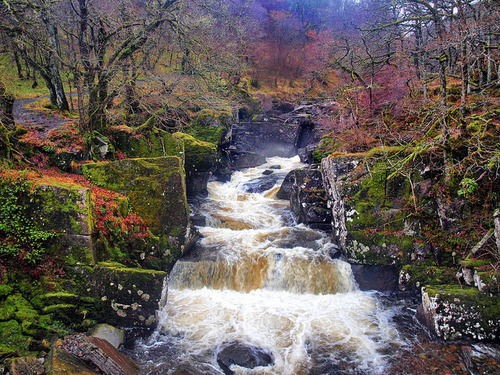 Waterfalls, mountains, moors – what more do you want from one tiny corner of Scotland? This area is resplendent with lush green spaces and cool calm waters, and is widely recognised as one of the Top 40 most beautiful spots in Scotland. Some might think the wild beauty of Scotland rather lonesome. Not us, we love the fact that out in our clear, refreshing air you can forget about the worries of life and remember, even just for a little while, that you’re only one little speck on this massive, wonderful planet. 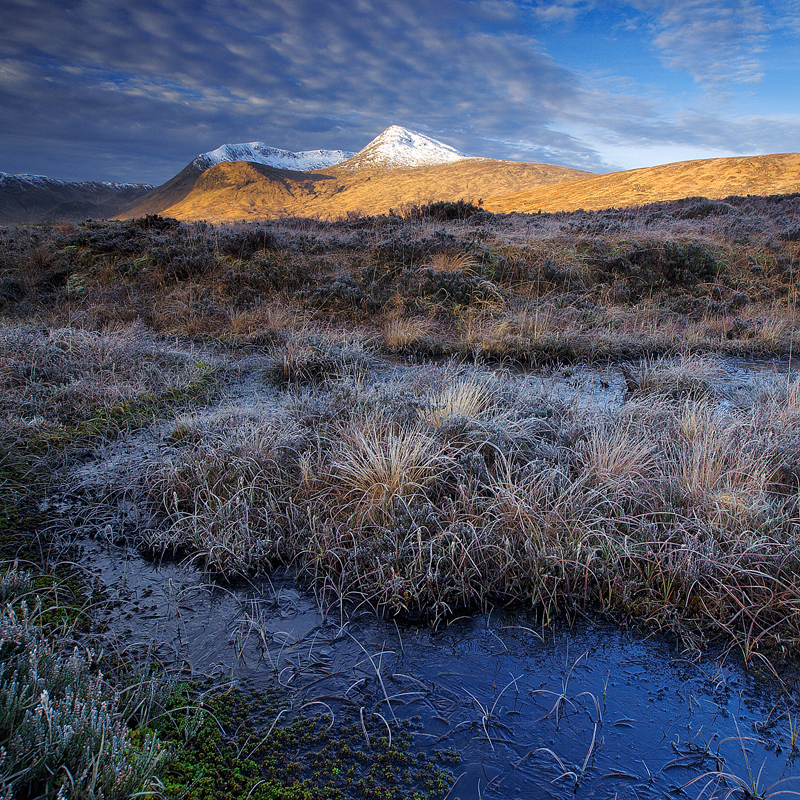 The Scottish weather is well known for being mercurial, but we think this only adds to the scenery. Yes, the mountains, lochs and glens are beautiful in the sunlight, but in the cloud and the snow they take on whole new personalities. 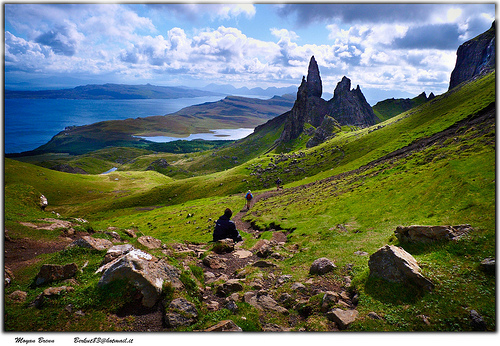 If these pictures haven’t persuaded you to get outside and go for a long walk in Scotland then we don’t know what will. But we do promise that no matter what your preference, whether that be sunlit fields, moody mountains or lonely isles, Scotland will have some corner that will catch your eye, and which will fill you with awe. What’s your favourite place to take picture in Scotland?